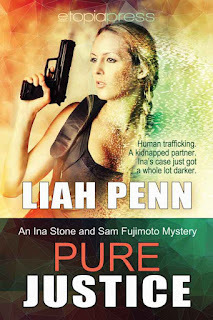 Now booking our very first month long tour for Pure Justice by Liah Penn. This is the sequel to Pure Death, which we toured earlier this year. Pure Death was the winner of the 2015 Daphne du Maurier Award for Excellence in Mystery/Suspense in the Paranormal/Futuristic category! Looking for interviews, guest posts, reviews, and spotlights. If you would like to be part of this tour, please email me at redmoonbooktours(at)gmail.com and let me know what kind of tour stop you'd like to do and what date you can post. If you would like to review I have epub, mobi and pdf available. More info below! In an uncertain future where the Impures—genetic defectives—are banished to a ghetto territory, Detective Ina Stone and her rookie partner, Sam Fujimoto, constantly fight for survival. But when a murdered Impure is discovered in the projects with only a business card in his pocket, the clues lead them into the shadowy underworld of black market trade and human trafficking. After Sam is kidnapped by the Yakuza crime syndicate, Ina must hide her own defect to go undercover as a human trafficking victim. 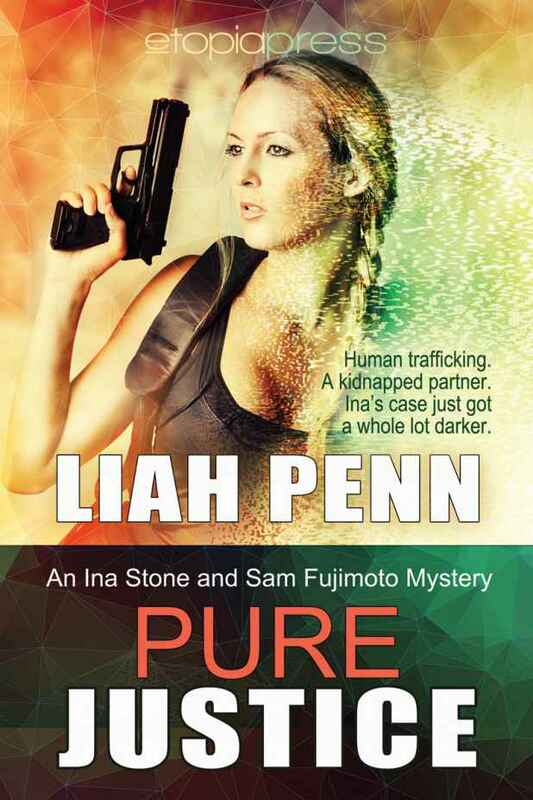 Accompanied by a Tebori master and a new detective with her own secrets, Ina must find a way to free Sam without exposing his role in the investigation, or getting herself killed in the process. He lay face down on the pavement, his shoes missing, blood staining the concrete and forming an unlikely halo around his head. It was a fresh kill, and I was surprised it had been called in so quickly. A death like this could go unnoticed for hours, if not days, especially down here in the Rainbow Alley projects. I felt a movement at my elbow. Melker had arrived with a new tech, Roselli, and they scurried to place screens to protect the integrity of the scene. I looked down at my feet. I hadn’t even put on protective footwear. I stepped back gingerly. He was right, of course. I should have waited until his arrival. I stepped over to the open tailgate of the Death Examiner wagon and dug into a supply box, pulling out a paper suit, shoe protectors, and a face mask. It was the middle of the night and I was dead tired. I perched on the wagon’s tailgate and put on the protective gear. My stomach churned while I waited for Melker’s permission to return to the body. I felt the bile in my throat rise and I bolted around the side of the van, where I heaved my dinner into the gravel and dirt. I then pressed my cheek against the cool glass window and took several deep breaths. Damn, that was close. I swiped my mouth with my sleeve. The two patrol guys who had answered the call were standing at the tailgate, waiting for me. They gave me a funny look as I emerged from behind the wagon. “You OK, Ina?” Officer Jim Lee asked, his notebook in hand. “By the time they got here, he was gone.” Lee fingered the pages of his notepad, then closed it with a snap of his wrist. I glanced over at Melker. Hadn’t he finished with the screens yet? The aged streetlight only partially illuminated the scene, coloring everything with an amber hue. I saw the new tech setting up a spotlight. It would be a few more minutes before I’d be allowed back over to examine the body.